Hard on the heels of the corporate watchdog reviewing forecasts made by insurance comparison website iSelect in its prospectus, it has taken issue with a prospectus issued by online retail venture iBuy, one of several technology floats slated for the end of the year. The Australian Securities and Investments Commission said iBuy had to reissue its prospectus after it failed to adequately disclose certain information to investors. It also has extended its exposure period over the company following some concerns about disclosure issues. The company has now released a revised prospectus. IBuy sells discounted branded products throughout south-east Asia and is seeking to raise $37 million, hoping to list with a $113.3 million market capitalisation when it floats, planned for December 20. It lost $1.4 million last year on revenues of $41.7 million. ASIC said an original prospectus included incorrect US-Australian dollar conversions and failed to disclose correct details about related parties. IBuy's initial public offering is subject to the company acquiring a number of businesses from related and unrelated parties. The original prospectus implied these businesses were already owned and operated by iBuy, ASIC said. Around a third of the companies preparing to list on the sharemarket have been held back by the corporate regulator due to problems with disclosure. IBuy was set up by international investment firm Catcha Group, which will own a 25 per cent stake in the business after listing. Catcha Group executive director Luke Elliott said the new prospectus clarified the new arrangements after the float. He said the disclosure about related entities in the original prospectus had been detailed. 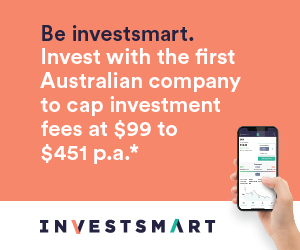 "ASIC also asked us to confirm in the replacement prospectus that the independent directors had approved the related-party acquisition disclosed in the prospectus." After finding problems with prospectuses, ASIC has warned companies about to list on the sharemarket not to mislead investors. Commissioner John Price said this month that the regulator was concerned about "an overstatement of future contracts or customers in some cases, and in some cases insufficient disclosure of detail about related-party transactions".